The place to begin when you’re ready to begin! Hello again, faithful reader! So glad you’re back. So let’s talk about some of the key differences between living in an RV and living in a house. At home, the power is ‘always on’ (except when something knocks it out). In an RV, power is supplied by ‘Shore Power’, which is plugging your RV into the power pedestal at the park, by a generator, by batteries with an inverter, or maybe even by solar power! It’s also important to note that some things in the RV are DC powered, and some are AC powered. I talk more about electrical systems in the category “Light it up”, but the key idea is that you’ll have to get power somewhere. At home, your water is provided by the city, or via a well, and just like your power, it’s ‘just there’ (unless there’s a problem). With an RV, you’ll generally have an on-board system which consists of your freshwater tank and a water pump, and then your waste tanks. At home, your waste is handled by a city sewer connection or a septic tank, but either way I bet you don’t think about it much unless it’s not working. In an RV, you have two types of waste water, Gray and Black. Gray water is anything that goes down the drain of the sinks or the shower. Black water is anything that went down the toilet. It’s important to know the difference because there’s an order to dumping those tanks, AND, some places allow gray water drainage at site, while most do not. Another important note is that your black tank acts as a septic tank, so you should NEVER leave it open when you’re connected to a sewer connection. The gray tank, however, is fine to leave attached and open with a sewer connection. Your water heater will only be 6 or 10 gallons (unless you have an on-demand water heater), so shower time will be shorter than at home. You’ll also want to leave a little time between running hot water for dishes, and taking a shower. Most homes come equipped with a 200 amp service panel, which means you can plug in all your stuff and have a party. 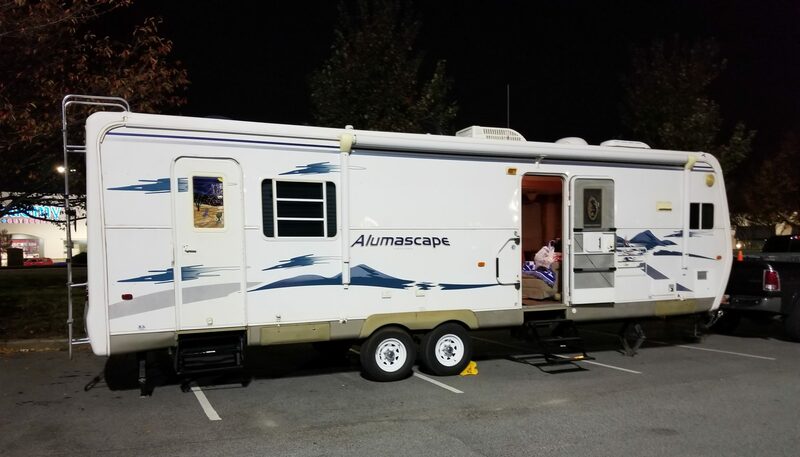 In an RV, you’ll usually only have 50, 30, or even 20 amp service, so you’ll have to consider what’s plugged in, how many amps it takes (see the category “Light it up”), and what else is operating on your AC power.